Today, with the ever changing demands of business organizations, CIOs, along with technology teams, are in a race to acquire more projects in shorter spans of time which bears upon the financial expenditure. Ameri100, the market leader in Lean Enterprise Architecture delivery, helps technology teams to manage the challenges effectively. 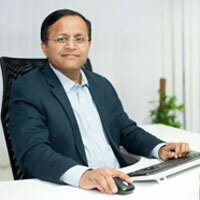 Based in USA & India and headed by Giri Devanur, CEO, the firm uses a very unique partner-led model to bring the best of technologies and processes to its global customers. Shaped by the confluence of Ameri & Partners and WinHire in early 2014, Ameri100 helps in two distinct challenges that are faced by IT systems today. A matter of growing prominence, the 'transitional IT' needs to adapt to the new needs of business requirements. The firm has successfully helped multiple clients with experienced program management and delivery capabilities to counter the problem. “When CIOs and their technology teams are in need to "transform IT" to work with businesses to lead in terms of revenue growth and dramatically improve the customer service or profitability, Ameri100 comes to their rescue with experts to assist such transformational efforts successfully,“ says Giri. Ameri100 helps customers with offerings that cater to several needs in the Enterprise Architecture space. The firm provides enterprise architecture services using their proprietary 'LEAP (Lean Enterprise Architecture Partner)' methodology to enable faster transition and transformation efforts of global customers. The Enterprise Resource Planning offering helps customers in design, deployment and maintenance of ERP solutions globally. Predictive Analytics offering includes specializations in SAP HANA, Oracle TimesTen, eXtremeDB, Redis and SolidDB. Enterprise Mobility offering provides customers with easy access to data anywhere & anytime, providing flexibility and mobility leading to 100 percent fulfillment of user demands. Ameri100 also has an innovations lab connected to academic research centers of international repute which works on cutting-edge products. These products and services have helped Ameri100 to gain clients from all over the globe. “We are successfully working with many Fortune 500 companies including a large chemicals company, a global fashion brand and a progressive bank in the Midwest. We are also working with a market leader in research as well as a financial service major,” says Giri. Ameri100 has built its reputation based on three factors. “Firstly, we attract and enable the brightest of professionals from around the world. Secondly, we have a group of mentors like Dr. Art Langer, who is considered as the 'CIO Guru' to help us navigate through the everchanging technology world. Finally, we have a group of partner firms who are specialists in each of the most important IT needs of any large corporation,” adds Giri with pride. Today, Ameri100 is in the process of completing an acquisition which will beef up their services portfolio. The firm is expanding geographically as well as in terms of industry offerings. The plans aim to build the reputation of Ameri100 as a 100 percent reliable and trustworthy IT delivery partner globally.